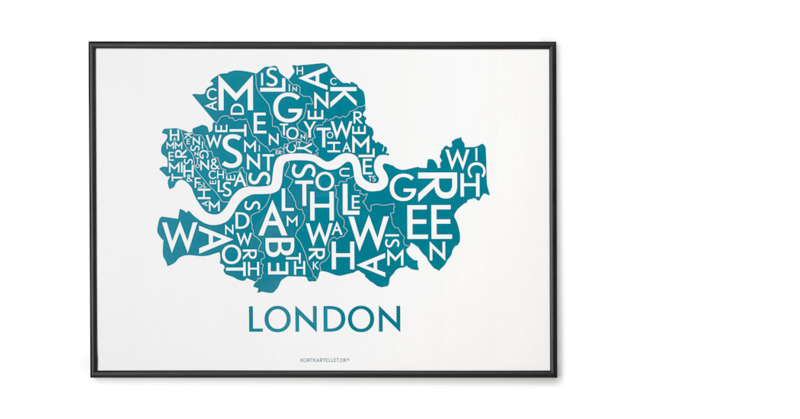 Typography and maps. That’s Danish company Kortkartellet’s obsession. Based in Copenhagen, they create maps of global cities, using their own Kortkartellet font for each region. They chose an ivory background for all their prints, which gives them a vintage, 20th century vibe. Offset by the modern black frame. Being artists, Kortkartellet decided to ad lib a little on some of the place names. So you might recognise the odd colloquial term if you’re a local.